Verizon and AT&T are apparently opening small versions of their retail stores inside certain Best Buy locations. Not only will the two carriers be competing against each other, they also will be up against the small Apple and Samsung Experience storefronts that are located inside some Best Buy retail locations. Reps manning the Verizon Experience stores at Best Buy will be trained in providing consumers with a great hands-on shopping experience. AT&T says that its store inside a store at Best Buy, will concentrate on mobile devices like smartphones, tablets and wearables. Using HD 4K televisions, AT&T will also display to Best Buy shoppers many of the entertainment options that the carrier makes available to DirecTV subscribers. By renting out space to Verizon and AT&T, Best Buy doesn't have to worry about paying employees or laying out money for inventory. Instead, the retailer collects rent and might even keep a percentage of sales. Consumers benefit too, by having a number of various products for different mobile carriers available under one roof. 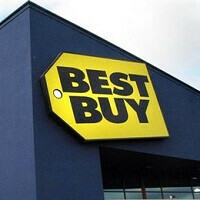 This very well could be the future of Best Buy. Meanwhile, Sprint has a deal with the U.S. Bankruptcy Court that allows it to control one-third of the retail space inside 1740 Radio Shack stores. The electronics retailer filed for bankruptcy in February. I was thinking about applying to AT&T soon as well... Hmmm. This is similar to back in the day of Circuit City, and they had a Verizon in there too, before that, they use to have a T-mobile person in there, as well as a Sprint person. The Best Buy where I live already has a Verizon in it. Hope AT&T is doing the hiring because most of the BestBuy employees I've dealt with are useless. Hey, I work in one of these!